The Indian retail sector is abuzz with the news of the proposal for 100 per cent FDI in multi brand retail, which might get the government backing. What will be the fallouts and implications of this gargantuan decision, if it comes through? The throwing-open of doors to Foreign Direct Investment (FDI) will certainly spur the GDP growth rate and increase the per capita income, but how will the local Indian retailers deal with it. According to a paper on FDI in retail that is being prepared by the Department of Indian Policy and Promotion (DIPP), it will be compulsory for the multi brand foreign retailers to create a backend cash and carry store for small shopkeepers (retailers), which will benefit them on the grounds of sourcing. The foreign companies in multi brands will also have to follow stringent rules on local sourcing requirements and make mandatory investments in local supply chain. The bigshots in the industry like Adi Godrej, Chairman, Godrej Group of Industries and B. Nagesh, Vice Chairman, Hypercity are affirmative about the proposal. Even Spencer Retail Ltd advocates the proposal. “The proposed initiative on 100 per cent FDI is a welcome move. It will be immensely beneficial for the government from a revenue point of view, for the producers for realisations and for the customers in terms of more competitive pricing. It’s a win-win all around,” says Vineet Kapila, President, Spencer's Retail Ltd.
Shopper's Stop finds the proposal encouraging. It beleives, if implemented, it can be utilised to boost exports. “Cent per cent FDI in multi brand retail will be a big booster for international retailers and encourage them to enter India. 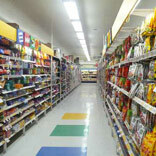 This will improve the quality of merchandise as well as improve the product availability and lower prices. Moreover, it will be a win-win situation for the customers. It can also be harnessed, to boost exports out of India through Clear Clauses of Investments in Sourcing & Exports out of India.” states Govind Shrikhande -Customer Care Associate, President & CEO, Shopper's Stop Limited. Political bigwigs in the opposition are in completely different boats than the big Indian retail players regarding the proposal. They beg to differ from the advocates of this proposal. Being concerned about the interest of a common man (consumer) they are skeptical about the idea. They think the move may not work in favour of Indian consumers as in India they come from various income levels. Arjun Munda, National General Secretary, BJP feels that there is no value in it for the poor (common) man and that the foreign players will totally monopolise and grasp the market, if the proposition falls through. D. Raja, National Secretary, CPI also feels that this proposition is not in the interest of the traditional retailers in India, inspite of the compulsory backend cash and carry store requirement that has been put down in the paper by DIPP. The suggestions for the proposed 100 per cent FDI in multi brand retail, however, seems to be in consistency with the UPA government’s emphasis on technology upgradation and flow of investments into the retail sector, due to the strict rules on local supply chain investments and sourcing. All that remains to be seen, now, is whether the government will pass this regulation and the bigger question still; whether it will give root to a comprehensive growth both for the country and the industry. Time will tell!